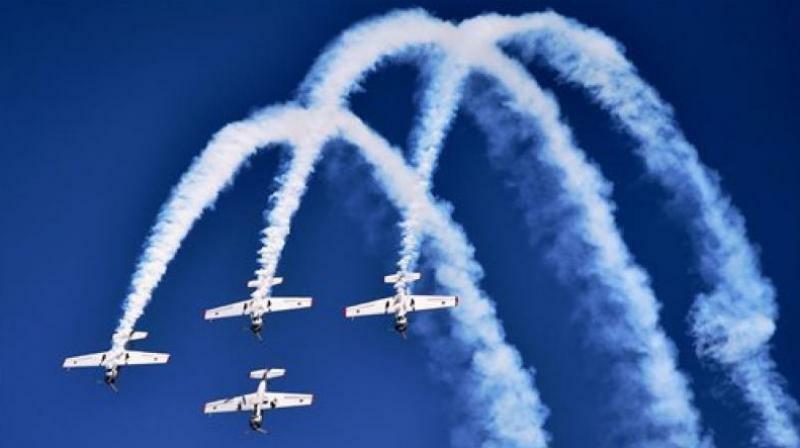 Bengaluru: After weeks of suspense in which the Union government refused to divulge if the Asia's largest military aviation exhibition, Aero India 2019, would be moved out to Bengaluru in Karnataka, the Centre on Saturday finally confirmed that the biennial air show would be held in the city from February 20-24, 2019. "The Government has decided to hold the Aero India 2019 in Bengaluru from 20-24 February 2019. This five-day event will combine a major trade exhibition for the aerospace and defence industries with public air shows. The Department of Defence Production is committed to make this a successful and result oriented show." a statement by the Ministry of Defence said. "Besides global leaders and big investors in aerospace industry, the show will also see participation by think-tanks from across the world. Besides giving fillip to the domestic aviation industry it would further the cause of Make in India," the statement said. The Karnataka government had asked the government to conduct Aero-India 2019 edition in Bengaluru itself. Chief Minister HD Kumaraswamy had written to Prime Minister Narendra Modi insisting that Bengaluru would be the “best choice” for Aero India. The last Aero India show took place in Bengaluru in February 2017 in the Yelahanka Air Force Station in Bengaluru. Since its inception in 1996, Bengaluru has been hosting the Aero India. There was speculation that the event, organised by the Defence Ministry, would be held Uttar Pradesh capital Lucknow as Chief Minister Yogi Adityanath had also urged Defence Minister Nirmala Sitharaman to hold the event in his state. The Defence Ministry also received requests from Gujarat, Rajasthan, Odisha and Tamil Nadu to host the next Aero India.